There are beads of rice and beads of rice. What distinguishing features do original BOR bracelets have? Which Omega Constellation watch heads can be legitimately fitted with Beads of Rice Bracelets? 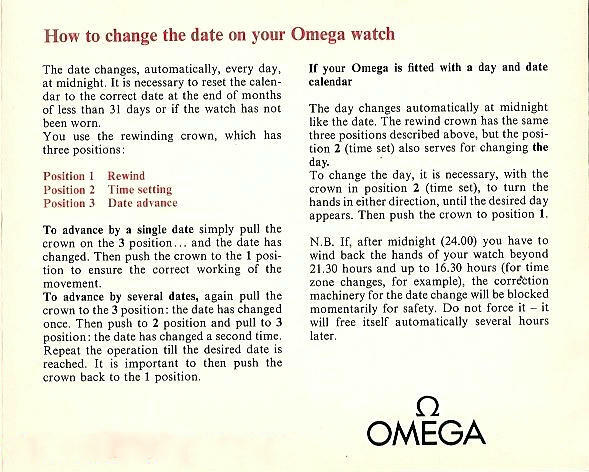 There is quite some confusion about accessorising in-house manufacture Omega Constellations from 1952 to the mid 70s. 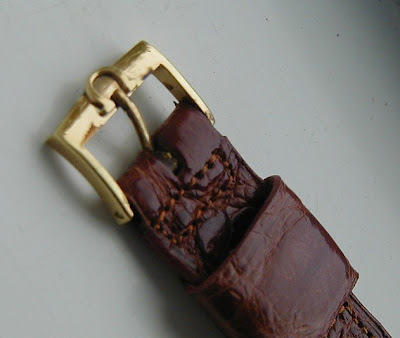 I have written two essays on accessories in an attempt to establish some standards by which collectors can judge which buckles and bracelets go with which watch heads. FYI, the link to the articles on straps & buckles and also the article on bracelets appears to be broken. Hi Thanks for alerting me. I checked and the back-up links are down but the first link for each is ok....takes a bit to download though as the files are largish. Your site has been a fantastic help and a super read ever since I looked on a long time ago. I purchased a few years ago from a local jeweler a 561 cal black dial stainless steel Constellation. It was fitted with a stainless steel bracelet 7912 marked 3/62 and Swiss made. These pages gave me a lot of 7912 understanding. Are you aware of just how the prices have gone through the roof on e-bay for these 7912 bracelet's? I presume because they also fit Seamaster models it makes them very saleable and are so early. I worked for the Swiss for many years selling a range of watchmaking machine tools including Ewag, Wahli,Gerber, etc and visited the Biel factory a number of times as well as some of the great clock and watch museums over there. I appreciate the working of my 561 as I am aware of the types of machines used in their manufacture. Thank you again for such a super website. Thanks for your kind comments - much appreciated. Yes, Ive noticed prices for these vintage Omega bracelets and others almost double over the last three years. I suspect you are right about people wanting to match them up with their Seamasters. Love to hear more about the types of machines used to manufacture parts as it is a little understood aspect of production watch manufacture of those halcyon days. Great information on this site, thank you for providing such a valuable service! I was hoping that you could help me with a buckle question for my 1966 Constellation. The case is solid 18k but the original buckle is missing. Would an original buckle for this model have been solid 18k to match the case or would it have been gold plate? Would there be a particular style buckle of the one's pictured that would most typically be associated with the Constellation circa mid 1960's? Also what would be the correct buckle size? Standard strap taper today seems to be 18-16mm but some vintage straps I notice are 18-14mm. Thanks again for this treasure trove of a site!! Yes, with an 18k Watch head it was normal for the buckle to be 18k as well. There were a number of buckles in that period, and either an 18-14 mm or 18-16mm would be correct, depending on the style of the buckle. I've translated your message into English below.